Smart thermostats have been gaining popularity as the newest must-have home gadget but it isn’t just a fad. Soon they’ll become a mainstay of modern home construction but that doesn’t mean heating and cooling will no longer involve people. 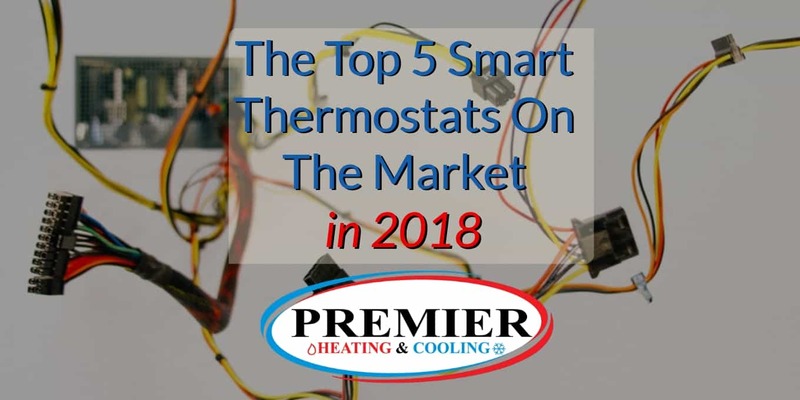 In fact, heating and cooling will always be concerned with the comfort of people and their families, regulating temperature in a safe and affordable manner overseen by seasoned professionals like the team at Premier. Smart thermostat technology exists to enhance the comfort of everyone from those who run a very tight ship to the forgetful types who leave the heater and A/C running all day even when they’re not home. If it’s true that regular thermostats are just manual switchboards for controlling the temperature on your property, a smart thermostat is an automated technical interface. That said, the difference in automation comes from the ability for a smart thermostat to learn your habits and preferences. The difference in technology comes from real-time monitoring of temperature variables, the ability to offer loads of data and to interpret that data itself. A final crucial component is the ability to connect with different devices on the internet and be controlled remotely. Most smart thermostats have either both of these capabilities or just one — either learning/automation or remote management/interconnectivity. But what smart thermostat model should you buy if you’re seriously considering making the upgrade? The Nest Learning Thermostat earns the top spot on our list because it’s the most battle-tested and refined product in the industry. Nest Learning includes auto-scheduling and auto-away features which mean you don’t have to do any detailed programming. It also features full smartphone remote control, detailed energy history reporting, and the proprietary Nest Leaf setting that shows when your chosen temperature is saving energy. Your home Nest account also integrates with all major voice platforms such as Google Home and Alexa. Nest has made a swift pivot to corner the market and secure the largest research and development budget in the emerging market. 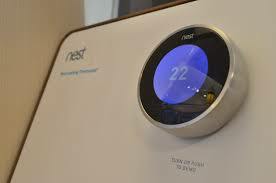 Nest was co-founded by former all-star engineers Tony Fadell and Matt Rogers and was recently acquired by for US$3.2 billion. This model is priced at $279.98 USD. 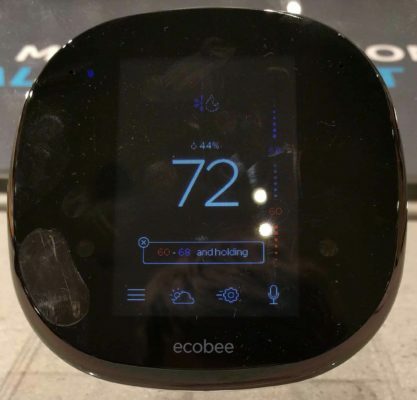 The ecobee4 is another market tested and refined smart thermostat with a promising 4th generation model and lots of innovation on the horizon. This model is optimized specifically for Alexa voice communication and has unique interaction features like announcing the news and weather as well as being able to hear you everywhere with “far-field” voice technology. It also comes with full smartphone remote control capability, room sensors you can place around your home and a guarantee of 23% yearly energy savings. The price of the ecobee4 is $329.99 USD. 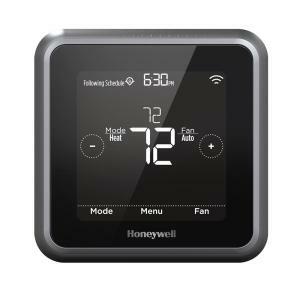 The Honeywell Lyric Round is a relatively new venture for this well-known brand as it’s smart thermostat is only in its second tested generation. Some of the interesting features of the Lyric Round include a super affordable price tag, minimal look and complete smartphone integration including location prediction and push notifications. A major unique feature of this model is the air quality accessory that links into the whole-home humidifier, de-humidifier or ventilators. You can also view a 6-hour and 12-hour forecast that plans out your temperature control map. The Honeywell Lyric costs 199.99 USD. Emerson’s Sensi Touch is a super efficient and good looking smart thermostat with a modern touchscreen interface that’s similar to but not as elegant as our top three models. The Sensi Touch has detailed humidity readings, automated software updates, smart alerts and audio temperature alarms. What’s cool about this model is it’s lighting effects which include backlit glow for day and night lighting plus colour shift features which change to show you at a glance what your temperature readings are. The Sensi Touch was recently upgraded with an Apple MFi chip meaning it is optimized specifically for Apple’s Siri voice and smart home integration. Currently, the Sensi Touch retails for $169.99 USD. 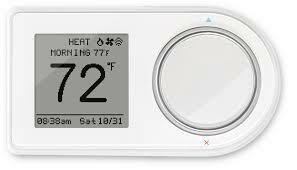 LUX’s Geo smart thermostat is a reliable and minimalist thermostat but earns the bottom position of our list because other competing models from Honeywell, Ecobee and Emerson are roughly the same price and have a bit more value and brand promise. That being said, it has an excellent location sensing radius and creates an easy to interpret heating and cooling schedule that’s quick to set up. Also, you can physically mount the thermostat either horizontally or vertically and it doesn’t require a lot of installation effort. Unfortunately, LUX Geo doesn’t have any major smart home partners, so it won’t work with Google Home, Apple HomeKit or Amazon Alexa. LUX Geo currently costs $114.95 USD. 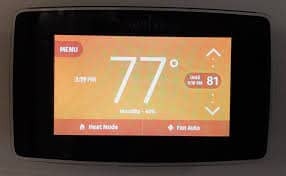 After going through an introduction to smart thermostats and listing all of these products we’ve still only scratched the surface. The truth is this is an emerging industry and there is plenty to learn and lots of new innovation every year. This is why many of the leading models have been ranked according to the power of their research budgets and desire to innovate the field. The catch with these thermostats really is the balance between cost and features. Mostly, they tend to be a little expensive and some models still require professional contractors like Premier to install. While some are easier to install they still require some programming and familiarity with tech interfaces. What can’t be denied is the fact that smart thermostats really can free up some serious space in your monthly budget. The learning models can take the chore of managing your home’s temperature right off your schedule. With a little exploration and patience with this new technology you eventually all you have to do is sit back and relax and know you’ll be comfortable in every room in your home. This entry was posted in Heating, HVAC repairs, thermostats and tagged furnace, furnace repairs, heating and cooling, home furnace, hvac, keeping warm, Ontario, Strathroy, thermostat.